Next time on The Walking Dead: cookies. Delicious, delicious cookies. Sesame Street, over its decades of existence, has always had a knack for pop culture parody. In trying to entertain and inform children (and the parents who end up watching kids’ TV shows), the show has long pulled from pop culture for jokes, lessons, and amazing musical numbers. This week, they set their sights on The Walking Dead, and they absolutely nailed it. 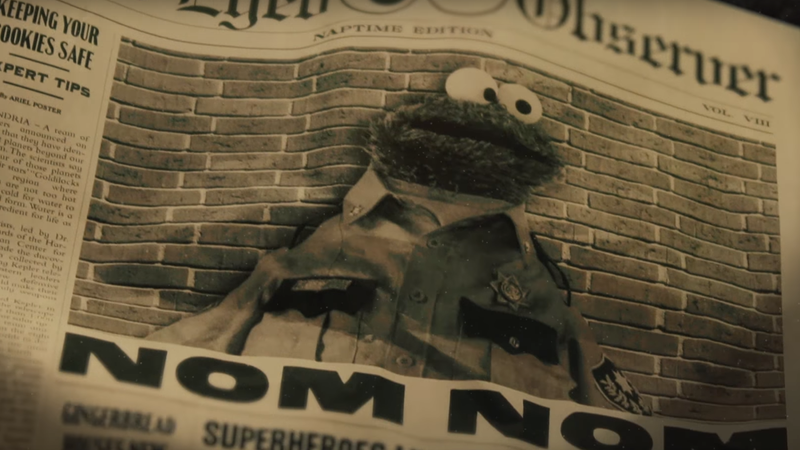 The parody, released online just in time for the eighth season premiere of AMC’s zombie drama this Sunday, casts Cookie Monster as Sheriff Graham, a cookie-adoring cop who finds himself beset by a horde of The Walking Gingerbread. Naturally, they eat cookies, which causes problems for the poor Rick Grimes-imitating monster. He’s helped out by Muppet versions of Daryl and Michonne, wielding kitchen implements, no less, and the parody goes on a tour of familiar The Walking Dead locations: forest filled with zombies, isolated cabin surrounded by zombies, and fenced-in “safe zone” ruled by creepy guy Muppet with an eye patch.